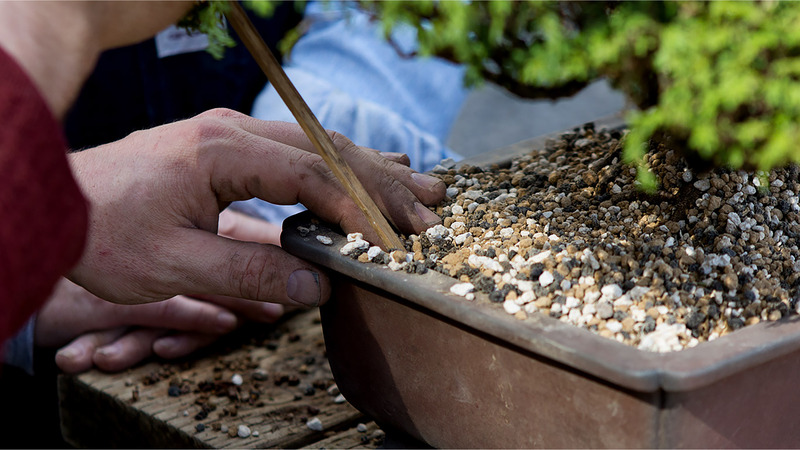 Repotting season is a bonsai practitioner’s busiest time of year: we must use this crucial period to our best advantage. We must move our trees into new containers, meld & shape their root systems into their next iterations, and further our trees’ journeys. At Mirai, repotting season is no different. Repotting dozens of trees in a limited time means we’ve got to be efficient and precise, and use the right tools for the job. 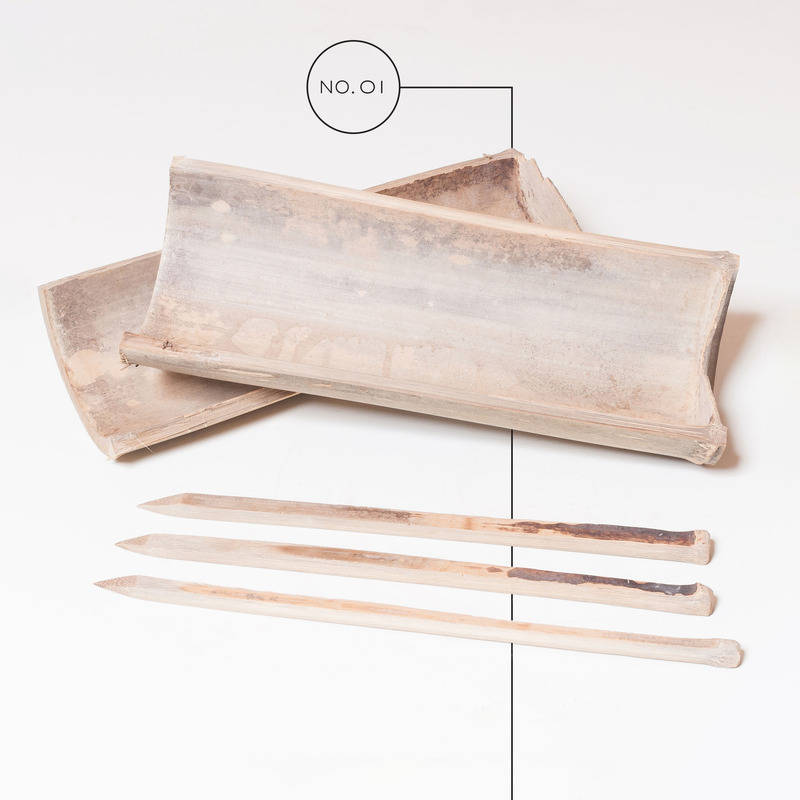 These five essential tools are our mainstays during repotting season at Mirai. Chopsticks, which can be handcrafted to your specifications from bamboo rounds (see our Chopstick Creation video), are one of the most versatile items in our repotting toolbox. First & foremost, they allow us to move and manipulate soil into the root system of our tree. This ensures we have good contact between soil and root, and that we’ve eliminated all air spaces. They can also be used to scrape exterior soil out of the way, freeing a tree from its containerized environment. Bamboo pieces can also be used in the root system of our trees as anchors for a tree’s position. They can serve as anchor locations for tie-down wire, to help secure the tree into the container, or be used as props and blocks to help set the angle of a tree. To see examples of all the ways bamboo rounds and chopsticks are used in repotting, refer to the Repotting section in the Mirai Live Library. 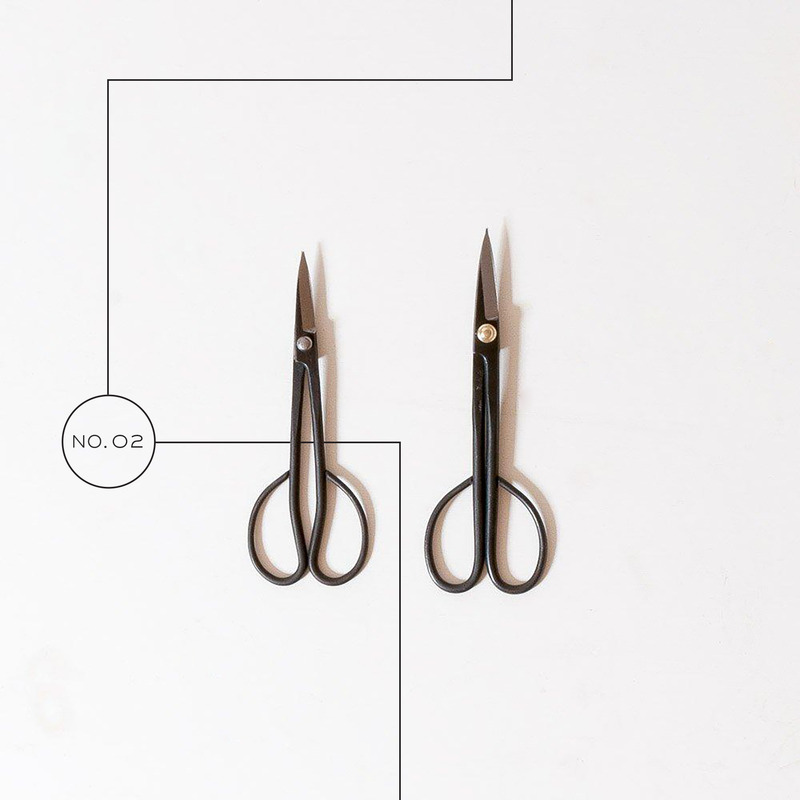 Ideally, for the most efficient and precise root work, we should set aside a pair of shears specifically for use in repotting. Our Joshua Roth pruning shears are strong and durable: they not only allow us to prune branches in the canopy, but are perfect for reducing a tree’s root system. They provide strength, rigidity, and the capacity to make fine cuts and cut stronger, thicker roots. Clean cuts are a necessity to ensure the best possible healing and new root production for areas we choose to prune. Without scissors, a repot is simply not possible: we must tease out the roots, alter their length, and prune them back to create a finer, more ramified root system. This is perhaps the most important cutting tool in our repotting toolbox. 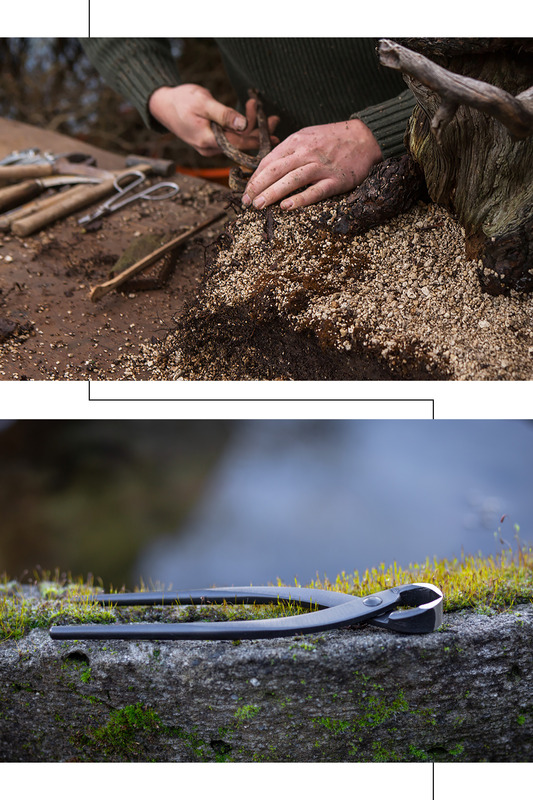 Available in a large size for larger trees, and a small size for shohin and medium-size trees, this tool is what allows us to shape and form larger roots. Its blade ensures clean cuts that will callus over and form new root production. The root cutter is also our greatest tool in creating chopsticks and blocks from a bamboo round. It allows us to adapt and adjust the bamboo to all purposes it must serve in the repotting process. 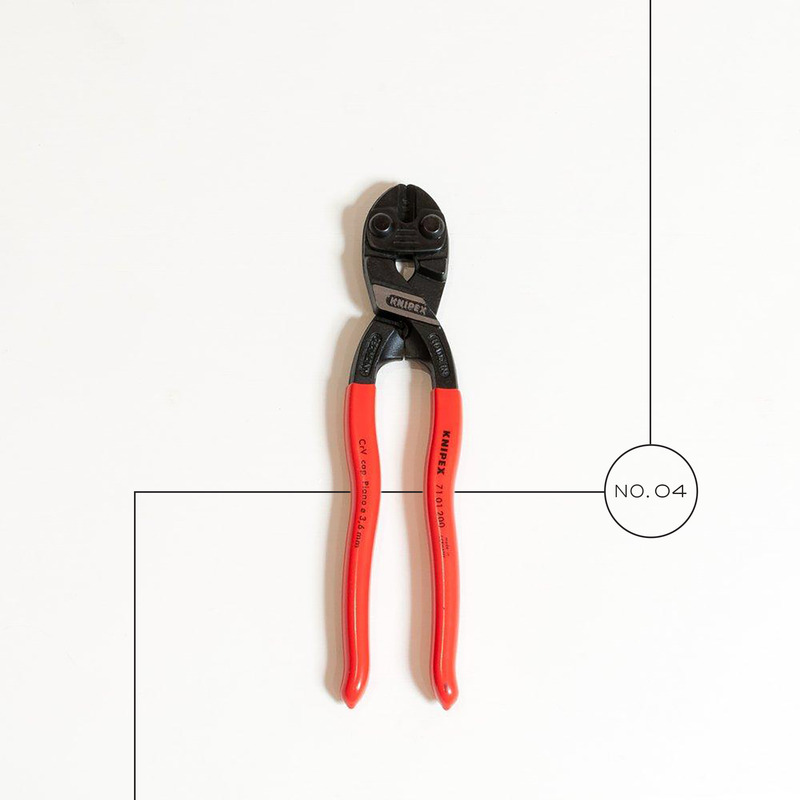 Mirai’s Knipex wire cutters are the first wire cutters we’ve found that easily handle aluminum, copper, and galvanized steel. Even though wire cutters are a tool that we only utilize specifically to deal with either cutting tie-down wires to remove a tree from the container or cutting lengths of wire for other uses, they are still essential to the process. 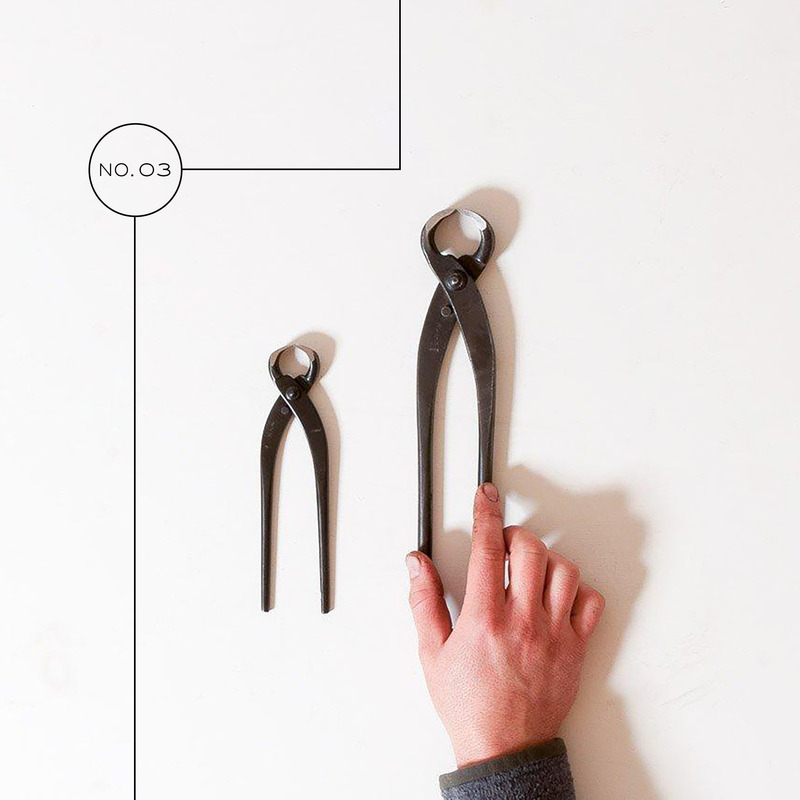 Their versatility handles any metallic material we could potentially use, puts less pressure on the tree, and offers the practitioner’s hand a more ergonomically correct handle. The Knipex wire cutter gives us the widest range of adaptability to be able to handle all of the situations that we encounter wire, and to leave our tree in the best possible functional and aesthetic position throughout the course of the repot. The most functional use for pliers in the repotting process is securely anchoring a tree into its container with tie-down wires. Properly anchoring a tree is the most significant action we can take to give the tree maximum stability, and thus its best chance at producing new roots. This fundamental technique demands the use of pliers to truly be able to anchor, secure, and tighten our tie-down wire to a degree that no other tool can match. 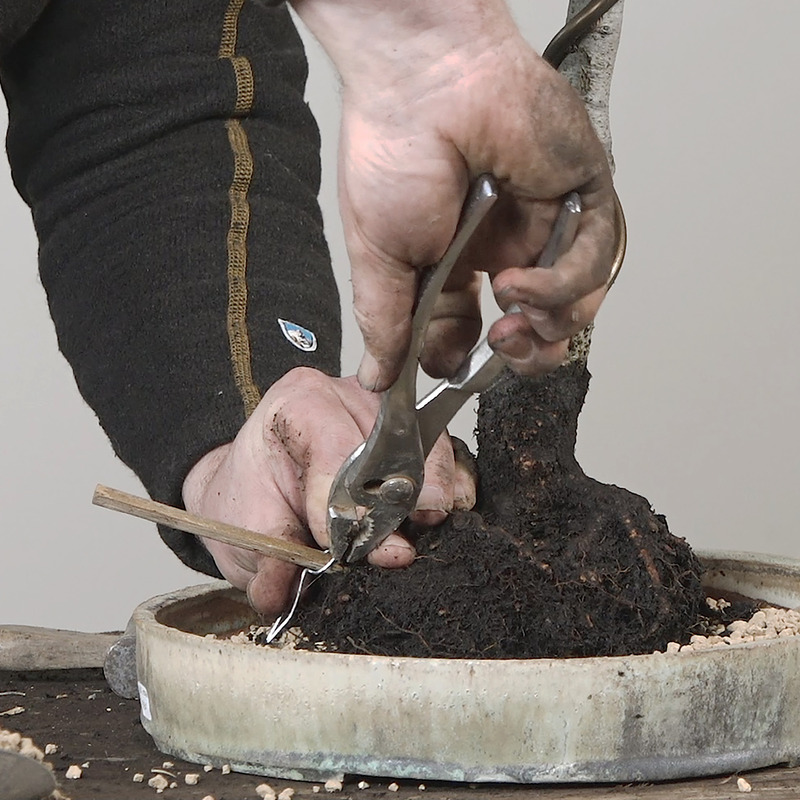 Beyond tying down trees, there are a myriad of other uses for pliers in a repotting toolbox. We can remove old wire from a root system, or preserve all valuable roots by forming hooks to pin them into the containerized environment. 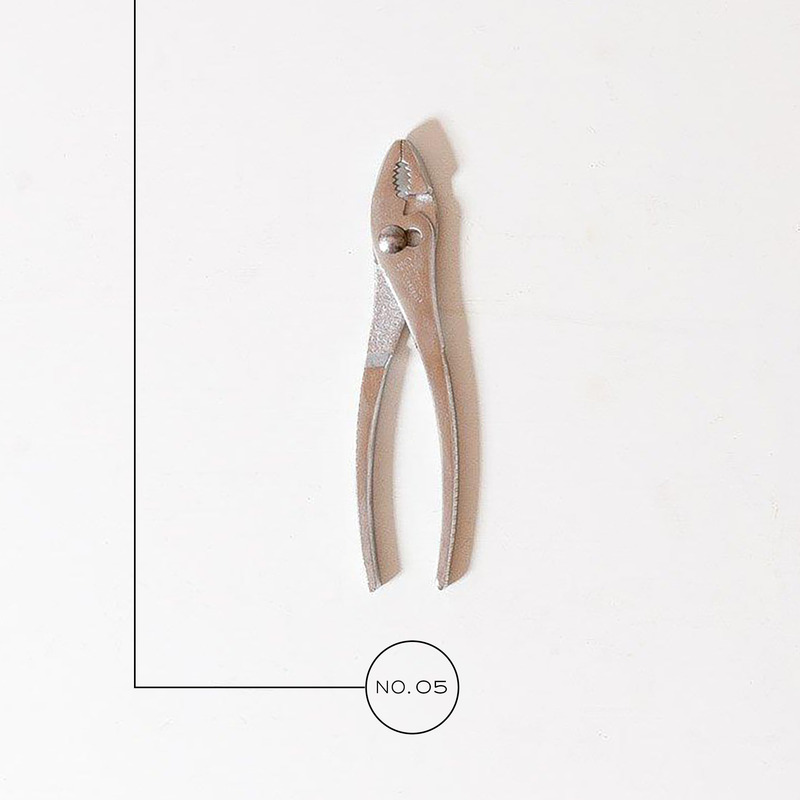 Pliers are a tool that we use constantly over the course of a repot. With the use of bamboo, shears, root cutters, wire cutters, and pliers, we as practitioners can handle any single repotting that we could ever have to tackle. With these tools as our basic foundational repotting toolkit, we can set our tree up for its best chance at future growth and health.